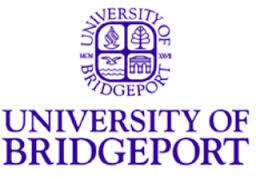 Recognizing the impact of an international education on a student’s life and the development of his/her community, the University of Bridgeport seeks to support a select group of promising students throughout the period of their undergraduate studies in the form of a comprehensive scholarship. Eligibility: Applicants must demonstrate full English language proficiency, and possess the equivalent of a 3.5 Grade Point Average (GPA) or higher on a scale of 4. Selection Criteria: Students will be selected on the basis of their academic performance in their secondary school studies and through a nomination provided by the student’s high school counselor or the local EducationUSA advisor. Nominations from other sources will not be accepted. Final selection will be made based on the student’s potential for growth, academic performance, community involvement, and leadership, as demonstrated through academic transcripts, test scores, the counselor’s letter of nomination, and the student-authored supplementary essay. How to Apply: Students must personally apply directly to the University of Bridgeport. Applications submitted through a third party will not be considered for the Global Leaders of Tomorrow Scholarship.